up! That’s why I decided to put out some ideas on how to make February a month of Kindness through music activities. mindfulness and how to keep stress levels down MINDFUL MONDAY: WHY NOT TEACH STUDENTS TO BE CALM? I think that February is the perfect month to share some ideas on how to put a little “kindness” in your classroom because we’re in the sweet spot of the teaching year. We made it past the holidays and we’re just closing in on testing time. So now’s the time to reaffirm the importance for everyone to be KIND! that if I listen to what’s happening in their world I can relate to them better. This equals more learning time! special-and I use many of these tools all the time-but I’ve given myself a challenge to focus on one student every class time. Try giving more personal attention by helping students with their work individually. Sometimes I use a very quiet voice and give a quiet compliment to a student as I monitor the room. It could be pulling a student aside and just talking and listening to them. whole class calm and focused because they see me working with another student and then realize they need to be working too. If you didn’t watch my TRANSITION IDEAS video, you’ll want to get those ideas because I demonstrate some effective “showing” ideas. TRANSITION IDEAS HERE. So, here’s how and why I love to give out stickers! I give them out spontaneously when I see something happen that is GREAT! It could be a student following directions, being kind, doing good work, helping out, smiling, being quiet, lining up right. I just stop and say “wow! That is so awesome that you…… you need to go grab a sticker!” The kids love it and I have EVERYONE’S attention back on track. There’s lot’s of ways to encourage kindness, but mainly, I think by acknowledging that it has just happened is a key element of bringing more kindness into the classroom. In the music room there’s so many fun activities you can do in the month of February to encourage kindness-You can create whole lesson plans on kindness, or just add in a few activities here and there to help students along. IT’S EASY!You can add some of these fun activities into your regular lessons and you’ll be on your way to encouraging kindness. I’ve created a special VALENTINE’S DAY PLAYLIST to help you out with your February lessons. You’ll find a nice selection of songs for the week of Valentine’s Day. “Love Somebody” a song from the southern mountains, shared on the Smithsonian Folkways website. Authentic music sung by Jean Ritchie. CLICK HERE TO LISTEN TO THE SONG “Heel Toe on the Line” a favorite Valentine’s Day Music Class activity! 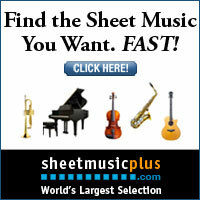 I’ve included the sheet music, directions and an Mp3 practice track in the FREE RESOURCE LIBRARY. SUBSCRIBE HERE! Looking for the full resource? Subscribe to the Free Resource Library and you’ll have access to this fun dance for your music classes. SUBSCRIBE HERE! More Music and Kindness ideas in this Blog post. CLICK HERE FOR SIMPLE AND INTERACTIVE MUSIC CLASS ACTIVITIES. Students can sing the song. Play the Game with the whole class or in small groups. 1 – Use your current reward system to give out extra rewards when you hear a compliment! I give out stickers. Try points, privileges, free time, wrist bands, or treats. Or, print and copy this freebie reward ticket! Or, play this easy game!2- Bean Bag Game: Pass the bean bag around the circle to some fun “friendship” music. When you stop the music, whoever has the bean bag get’s to pay a compliment to someone in the classroom. Quick and Easy to play. So, if you are looking for more bean bag activities, you’ll want to read this post on FIVE WAYS TO USE BEAN BAGS in the Music Room. And, you may want to check out these Bean Bag Resources in the Sing Play Create TpT store. If you are looking for more bean bag activities, you’ll want to read this post on FIVE WAYS TO USE BEAN BAGS in the Music Room. By the way, this POST has more music class Valentine’s Day activities! Overall, kindness music activities can help you build classroom community and kindness in your students. Check out these Kindness Blog posts with Free resources and ideas to make February kindness month.